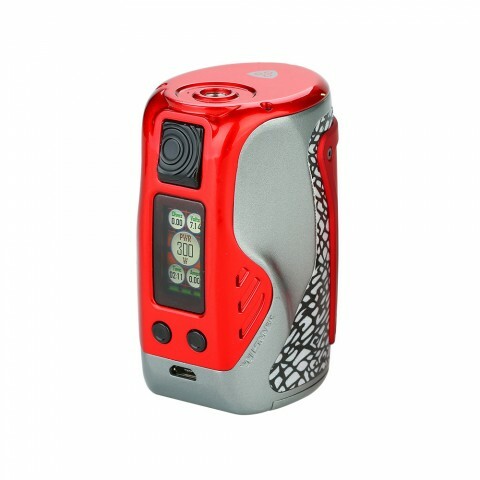 The Reuleaux Tinker is another TC box mod from WISMEC. Different from other WISMEC Reuleaux Mod, this Tinker is inspired by the AJ sneakers, maybe you've already noticed this. The Reuleaux Tinker is another TC box mod from WISMEC. Different from other WISMEC Reuleaux Mod, this Tinker is inspired by the AJ sneakers, maybe you've already noticed this. 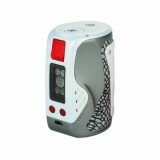 Typically, it is a max 300w box tc mod which requires 3 pieces 18650 batteries to fire and comes with the ergonomic design with a dynamic appearance. If you are a fund of RTC(real time clock), then you might meet your soul mate. By the way, its 0.96 inch TFT color screen also comes with the advanced user interface for easy operation. We recommend you to use it with the WISMEC Column Tank. • NO battery included. 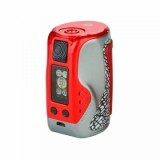 You can buy 18650 battery in BuyBest. • The WISMEC Reuleaux Tinker TC Kit and WISMEC Column Subohm Tank are also available in BuyBest. 300W WISMEC Reuleaux Tinker Box MOD is powered by triple 18650 cells, REULEAUX TINKER can supply up to 300W output and the 0.96inch TFT color. It is the perfect balance of size and high- power functionality, combining with visually striking elements such as a 1.3" color display screen and triple 18650. 300W WISMEC Reuleaux Tinker Box MOD is a mod with the perfect balance of size and high- power functionality, combining with visually striking elements such as a 1.3" color display screen and triple 18650.
a cool device with a dynamic appearance and ergonomic design. 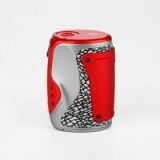 three batteries with 300W massive power, amazing!!! 300W WISMEC Reuleaux Tinker Box MOD is a perfect balance of size and high- power functionality, combining with visually striking elements such as a 1.3" color display screen and triple 18650. Original box mod from Wismec. 300W WISMEC Reuleaux Tinker Box MOD is powered by triple 18650 cells, REULEAUX TINKER can supply up to 300W output and the 0.96inch TFT color. The Wismec REULEAUX TINKER 300W Box Mod is the perfect balance of size and high- power functionality, combining with visually striking elements such as a 1.3" color display screen and triple 18650. Box mod has great quality.